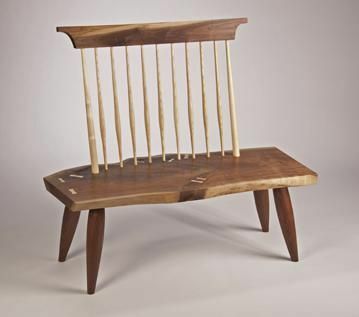 This bench was inspired by the late great George Nakashima. He made a huge impression on me in my early years. The legs and crest rail are my addition to the design the rest is very G. Nakashima. The seat is one slab of walnut with butterfly splines to stabilize some cracks. The spindles are ash.